5. 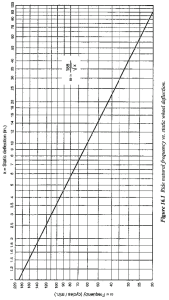 Select the static deflection and corresponding frequency from the graph. Rear drive cars have front natural frequency higher than rear suppose if for 2.5 inch travel rear ride frequency in taken 108 cpm then it is advisable to take front ride frequency upto 115 cpm. KØF = Roll rate of front. Simillarly calculate KØR by taking rear datas. H = height of cg from roll axis. simillarly calculate the weight transfer on the rear axle due to lateral acceleration.